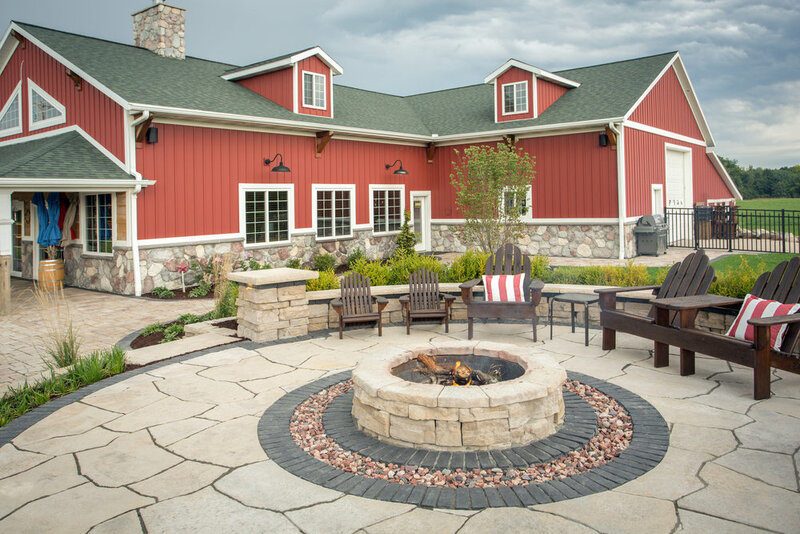 Regardless of the size of the outdoor living area you are wanting to build, you should start planning ahead. Once you have some ideas come visit our trained staff who can walk you through every step and even introduce you to a professional contractor who can handle every aspect of your project. Things to consider prior to breaking ground would be existing utilities running through your yard, maybe an irrigation system, or other under the ground items that you and your builder need to be aware of before digging. Other things to consider would be a water supply for a fountain if you choose to have one, or perhaps a gas line if you want to upgrade your fireplace/fire pit to a gas burning unit. Visit one of our showrooms today to help you address all these thoughts. Click here to find a dealer near you!